PROTECTING YOUR MOST IMPORTANT ASSET - YOU! Taking preventative measures is vital when it comes to protecting your health. So why do few Americans take these same precautions when it comes to protecting their identity? RxMyID is a veteran-owned company that offers state-of-the-art identity protection services to those who serve our country and communities. You have served us. Now let RxMyID serve you. 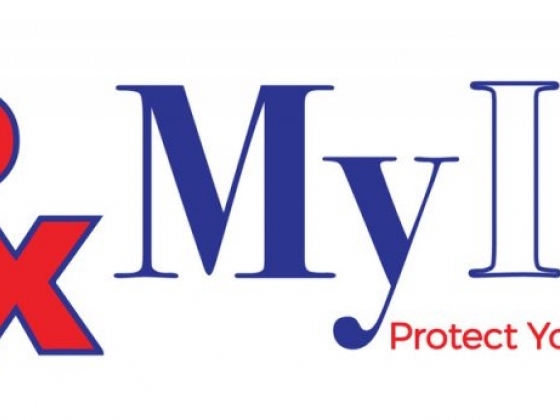 Whether you or someone you love is a first responder, a teacher, a union member or active duty / retired military, RxMyID is your one-stop shopping for identity protection. RxMyID will supply you and your family with a team of experts that will address all of the issues you might encounter concerning your identity. Don't wait. You could be the next victim of identity theft. Identity theft occurs once every 2 seconds in the United States. Last year alone, more than 15 million Americans were victims of identity theft, resulting in losses of over $53 billion. Armed with your personal information, criminals can apply for credit cards, apply for loans, open bank accounts, file tax returns and rent homes fraudulently by using your identity. The RxMyID Team is there to protect you and your family's identity and immediately remedy any identity breach. To make matters worse for families, criminals prey on children between the ages of 15 and 21 - the demographic most susceptible to identity theft. They fall victim because this age group does not actively apply for credit or monitor it. In fact, it may take years before your child even knows their identity has been stolen. In addition, their comfort with and daily-use of social media and online gaming make them perfect victims for criminals seeking to steal an identity. RxMyID will send you information monthly on different identity topics to protect and help you and your family feel safe and secure. Monday thru Friday 8:00AM to 8:00 PM Est. The best identity protection for Veterans and their families.